High school can be a time of terrible angst—Fs on tests, bullying jerks, broken hearts, and late-stage puberty are just some of the potential issues that all teen boys face. But what about the issues facing a Teen Boat? 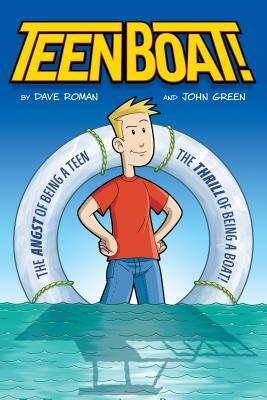 In this hilarious send-up of teen story tropes, the best-selling author Dave Roman and the cartoonist John Green deliver high school and high seas drama with a boatload of laughs. John Green grew up on Long Island and has worked in New York City since graduating from the School of Visual Arts with a degree in graphic design. He was the comics consultant for Disney Adventures magazine and has also worked on comics for Nickelodeon, DreamWorks, Scholastic, DC Comics, and First Second Books. His latest project is Hippopotamister, his first graphic novel as both writer and artist. John lives in Brooklyn, and you can see more of his work at www.johngreenart.com.